The primary service a personal chef offers is preparing weekly meals for individuals and families in their home. 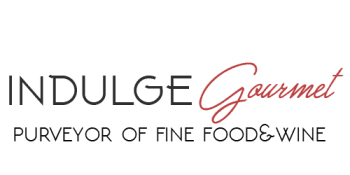 After a free consultation, indulge will take care of the meal planning & grocery shopping and then cook delicious meals just for you in your own kitchen. Delivery options also available. Meals are packaged & labeled for easy reheating and your kitchen is left spotless -- with only the aromas from the day's cooking left behind. Any special dietary needs and food preferences can be accommodated. Even your picky eaters will enjoy these fresh meals. Call for your personal consultation today! INDULGE is especially passionate about helping people heal their bodies with a balanced and healthy diet. Our next venture was creating a more customized meal program for those facing degenerative diseases and fighting inflammation in the body, through a movement called "healing with food." So whether you are diabetic, have cancer, MS, autoimmune disease or maybe just need a whole foods diet plan, we are here to help you heal your body with food. Please visit www.myhealingchef.com for more information. For clients that need more than cooking classes or weekly meals to hit the reset button on their health, Chef Laura is now a health coach with a national weight loss program. Developed by doctors, this easy to follow weight loss program has allowed many of her clients to make dramatic changes. Besides significant weight loss, their confidence and energy levels have sky rocketed. The program uniquely provides a free health coach and a support community that creates accountability and constant motivation. My mom was my first client who lost 20 pounds in 7 weeks. Three months after she hit her goal weight, her husband had a major stroke and she had to become his caretaker. Thankfully since losing 20 pounds, she had the extra energy to help take care of him and he was able to return home after a one month stay in a rehabilitation center. She has maintained her weight loss since October 2016. For more information please contact Chef Laura at 916-288-5761 or visit myhealingchef.ichooseoptimalhealth.com. Private or Group Cooking Lessons - $349 Learn more here. Please contact Chef Laura at 916-288-5761 or by email chef@indulge-gourmet.com for more information. Gift certificates available.